and woman mayor of Minneapolis! Sharon Sayles-Belton was born on this date in 1951. She is an African-American administrator, activist and politician. From Minneapolis, she is one of four girls from the family of Bill and Ethel Sayles. She graduated from Central High School and graduated from Macalester College in 1973. She then worked as a civil rights activist in Jackson, Mississippi. She returned to Minnesota and began working as a parole officer and later served as the assistant director of the Minnesota Program for Victims of Sexual Assault. She also co-founded the Harriet Tubman Shelter for Battered Women. 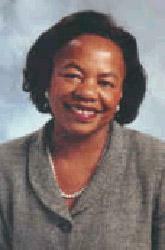 Sayles Belton’s political career began in 1983 when she was elected to the Minneapolis City Council, serving in that capacity for ten years; as council president from 1990 to 1993. In 1993 she was elected mayor of Minneapolis for two terms. She retired from elective politics on January 2nd, 2002, after serving Minneapolis for eighteen years. Sayles Belton’s areas of expertise include Public policy development; community development, neighborhood revitalization, family and children's issues, police-community relations, racial inequality antiracism programs, women's issues and youth development. Sayles Belton is currently a senior fellow, working with the Hubert Humphrey Institute's Roy Wilkins Center for Human Relations and Social Justice. She is involved in anti-racism initiatives and improving information sharing between community organizations and research institutions like the Humphrey Institute. She also lectures on her experiences as an elected official and policymaker. Used here with the permission of Benjamin Mchie of the African American Registry.